Kris Johnson, D.C., is a chiropractor located in Birmingham, AL. Techniques: • Activator Methods Take the next step and contact Dr. Kris Johnson, D.C., for a consultation in Birmingham, AL or to get more information. Robert J Apol, D.C., is a chiropractor located in Birmingham, AL. Take the next step and contact Dr. Robert J Apol, D.C., for a consultation in Birmingham, AL or to get more information. John A Farmer, D.C., is a chiropractor located in Birmingham, AL. Techniques: • Sacro Occipital Technique • Applied Kinesiology • Bio-Energetic Synchronization Technique Take the next step and contact Dr. John A Farmer, D.C., for a consultation in Birmingham, AL or to get more information. Auronois B King, D.C., is a chiropractor located in Birmingham, AL. Take the next step and contact Dr. Auronois B King, D.C., for a consultation in Birmingham, AL or to get more information. John (Jack) Cabral, D.C., is a chiropractor located in Birmingham, AL. Techniques: • Palmer Package • Diversified • Gonstead • Nimmo • Activator Methods • Traction Take the next step and contact Dr. John (Jack) Cabral, D.C., for a consultation in Birmingham, AL or to get more information. Morgan Wood, D.C., is a chiropractor located in Birmingham, AL. Techniques: • Diversified • Trigger Point Therapy • Activator Methods Take the next step and contact Dr. Morgan Wood, D.C., for a consultation in Birmingham, AL or to get more information. John T Cocke, D.C., is a chiropractor located in Birmingham, AL. Take the next step and contact Dr. John T Cocke, D.C., for a consultation in Birmingham, AL or to get more information. Rodger Murphree, D.C., is a chiropractor located in Birmingham, AL. Take the next step and contact Dr. Rodger Murphree, D.C., for a consultation in Birmingham, AL or to get more information. Scott A Duca, D.C., is a chiropractor located in Birmingham, AL. Take the next step and contact Dr. Scott A Duca, D.C., for a consultation in Birmingham, AL or to get more information. Brad A Hassig, D.C., is a chiropractor located in Mountain Brk, AL. Take the next step and contact Dr. Brad A Hassig, D.C., for a consultation in Mountain Brk, AL or to get more information. G E Mitchell, D.C., is a chiropractor located in Birmingham, AL. Take the next step and contact Dr. G E Mitchell, D.C., for a consultation in Birmingham, AL or to get more information. Fred W Bryant, D.C., is a chiropractor located in Birmingham, AL. Techniques: • Grostic • Upper Cervical • Gonstead • Thompson Take the next step and contact Dr. Fred W Bryant, D.C., for a consultation in Birmingham, AL or to get more information. Khalil E Awad, D.C., is a chiropractor located in Birmingham, AL. Take the next step and contact Dr. Khalil E Awad, D.C., for a consultation in Birmingham, AL or to get more information. Brad F Russell, D.C., is a chiropractor located in Vestavia, AL. Techniques: • Diversified • Flexion-Distraction • Gonstead • Myofascial • Activator Methods Take the next step and contact Dr. Brad F Russell, D.C., for a consultation in Vestavia, AL or to get more information. Beth R Scherer, D.C., is a chiropractor located in Vestavia, AL. Techniques: • Thompson • Diversified Take the next step and contact Dr. Beth R Scherer, D.C., for a consultation in Vestavia, AL or to get more information. Andrew Dragun, D.C., is a chiropractor located in Vestavia, AL. Take the next step and contact Dr. Andrew Dragun, D.C., for a consultation in Vestavia, AL or to get more information. Terri Jones D.C., D.C., is a chiropractor located in Vestavia, AL. Techniques: • Activator Methods • Diversified • Gonstead • Motion Analysis (Palpation) Take the next step and contact Dr. Terri Jones D.C., D.C., for a consultation in Vestavia, AL or to get more information. P Reginald Hug, D.C., is a chiropractor located in Vestavia, AL. Techniques: • Gonstead • Activator Methods • Diversified • Meric Take the next step and contact Dr. P Reginald Hug, D.C., for a consultation in Vestavia, AL or to get more information. Joseph K Jones, D.C., is a chiropractor located in Vestavia, AL. Take the next step and contact Dr. Joseph K Jones, D.C., for a consultation in Vestavia, AL or to get more information. Catherine M Foster, D.C., is a chiropractor located in Fultondale, AL. Techniques: • Diversified • Gonstead Take the next step and contact Dr. Catherine M Foster, D.C., for a consultation in Fultondale, AL or to get more information. Keron Vickers III, D.C., is a chiropractor located in Irondale, AL. Take the next step and contact Dr. Keron Vickers III, D.C., for a consultation in Irondale, AL or to get more information. Todd Sayers, D.C., is a chiropractor located in Irondale, AL. Take the next step and contact Dr. Todd Sayers, D.C., for a consultation in Irondale, AL or to get more information. Ricardo J Herring, D.C., is a chiropractor located in Irondale, AL. Take the next step and contact Dr. Ricardo J Herring, D.C., for a consultation in Irondale, AL or to get more information. Lemeka Fisher, D.C., is a chiropractor located in Irondale, AL. Take the next step and contact Dr. Lemeka Fisher, D.C., for a consultation in Irondale, AL or to get more information. Christopher LeRoi Harrison, D.C., is a chiropractor located in Vestavia, AL. Techniques: • Applied Kinesiology • Chiropractic Biophysics • Sacro Occipital Technique • nutrition • laser therapy Take the next step and contact Dr. Christopher LeRoi Harrison, D.C., for a consultation in Vestavia, AL or to get more information. Trey D Lott, D.C., is a chiropractor located in Birmingham, AL. Techniques: • Applied Kinesiology • Myofascial • Soft Tissue Orthopedics Take the next step and contact Dr. Trey D Lott, D.C., for a consultation in Birmingham, AL or to get more information. Doug Charles, D.C., is a chiropractor located in Vestavia, AL. Techniques: • Applied Kinesiology • Nimmo • Activator Methods Take the next step and contact Dr. Doug Charles, D.C., for a consultation in Vestavia, AL or to get more information. John Sparks, D.C., is a chiropractor located in Birmingham, AL. Take the next step and contact Dr. John Sparks, D.C., for a consultation in Birmingham, AL or to get more information. Daniel R Walters, D.C., is a chiropractor located in Hoover, AL. Techniques: • Diversified • Gonstead • Thompson Take the next step and contact Dr. Daniel R Walters, D.C., for a consultation in Hoover, AL or to get more information. Jason J Koenig, D.C., is a chiropractor located in Birmingham, AL. Take the next step and contact Dr. Jason J Koenig, D.C., for a consultation in Birmingham, AL or to get more information. Phillip Fortmeyer, D.C., is a chiropractor located in Birmingham, AL. Techniques: • Diversified • Cox • Concept Therapy Institute Take the next step and contact Dr. Phillip Fortmeyer, D.C., for a consultation in Birmingham, AL or to get more information. Marilyn Williford, D.C., is a chiropractor located in Fairfield, AL. Techniques: • Gonstead • Thompson Take the next step and contact Dr. Marilyn Williford, D.C., for a consultation in Fairfield, AL or to get more information. John M Kennedy, D.C., is a chiropractor located in Hoover, AL. Take the next step and contact Dr. John M Kennedy, D.C., for a consultation in Hoover, AL or to get more information. Vance N Estes, D.C., is a chiropractor located in Birmingham, AL. Techniques: • Diversified • Chiropractic Biophysics Take the next step and contact Dr. Vance N Estes, D.C., for a consultation in Birmingham, AL or to get more information. Sheila Estes, D.C., is a chiropractor located in Birmingham, AL. Take the next step and contact Dr. Sheila Estes, D.C., for a consultation in Birmingham, AL or to get more information. Irma Leon Palmer, D.C., is a chiropractor located in Birmingham, AL. Take the next step and contact Dr. Irma Leon Palmer, D.C., for a consultation in Birmingham, AL or to get more information. Bailey Carroll, D.C., is a chiropractor located in Birmingham, AL. Techniques: • Diversified • Flexion-Distraction • Motion Analysis (Palpation) • Nimmo • Thompson • Traction • Trigger Point Therapy Take the next step and contact Dr. Bailey Carroll, D.C., for a consultation in Birmingham, AL or to get more information. Kent Gremmels, D.C., is a chiropractor located in Birmingham, AL. Techniques: • Diversified • Thompson Take the next step and contact Dr. Kent Gremmels, D.C., for a consultation in Birmingham, AL or to get more information. William D Elliott, D.C., is a chiropractor located in Adamsville, AL. Techniques: • Applied Kinesiology • Sacro Occipital Technique Take the next step and contact Dr. William D Elliott, D.C., for a consultation in Adamsville, AL or to get more information. Thomas I Humphrey, D.C., is a chiropractor located in Pleasant Grove, AL. Take the next step and contact Dr. Thomas I Humphrey, D.C., for a consultation in Pleasant Grove, AL or to get more information. Ronald F Ivie, D.C., is a chiropractor located in Pleasant Grove, AL. Techniques: • Thompson • Diversified • Gonstead Take the next step and contact Dr. Ronald F Ivie, D.C., for a consultation in Pleasant Grove, AL or to get more information. Richard S Scherer, D.C., is a chiropractor located in Hoover, AL. Take the next step and contact Dr. Richard S Scherer, D.C., for a consultation in Hoover, AL or to get more information. David C Todd, D.C., is a chiropractor located in Hoover, AL. Take the next step and contact Dr. David C Todd, D.C., for a consultation in Hoover, AL or to get more information. LouAnne Hedden, D.C., is a chiropractor located in Birmingham, AL. Techniques: • Gonstead Take the next step and contact Dr. LouAnne Hedden, D.C., for a consultation in Birmingham, AL or to get more information. 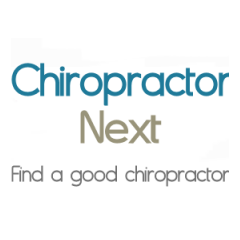 Craig Mix, D.C., is a chiropractor located in Birmingham, AL. Techniques: • Activator Methods • Diversified • Gonstead • Palmer Package • Thompson • Trigger Point Therapy Take the next step and contact Dr. Craig Mix, D.C., for a consultation in Birmingham, AL or to get more information. Paul L Vines, D.C., is a chiropractor located in Bessemer, AL. Techniques: • Palmer Package • Diversified • Gonstead • Activator Methods • Applied Kinesiology Take the next step and contact Dr. Paul L Vines, D.C., for a consultation in Bessemer, AL or to get more information. Alan Walch, D.C., is a chiropractor located in Leeds, AL. Take the next step and contact Dr. Alan Walch, D.C., for a consultation in Leeds, AL or to get more information.